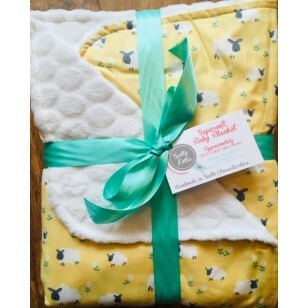 A beautiful blanket with the cute baby yellow sheep print on one side and super soft cuddle fleece on the reverse . 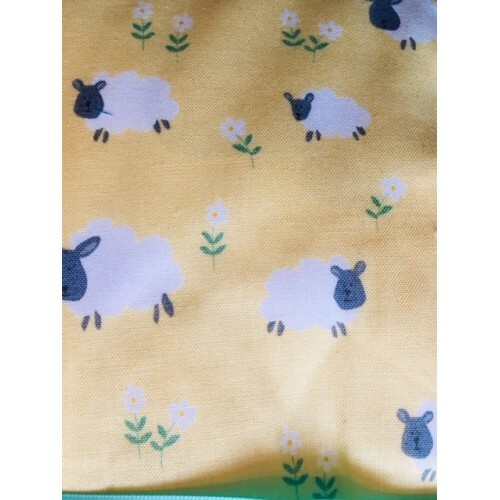 This blanket measures 90 x 75 cms . Handmade in our workshop in Bath these blankets are exclusive to Up to Seven .